Husky dogs are one of the most friendly domestic animals and companions of the people of the North. There is no need to go too far to get acquainted with them and to have a sled-ride. 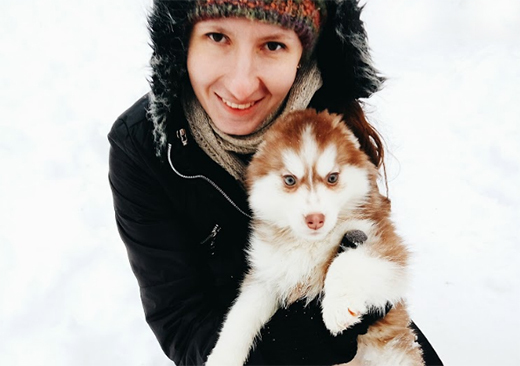 There are various farms in Moscow and Moscow countryside where you can enjoy their company, have a dog-sled ride and learn more about this breed and lifestyle in the North. 1. Acquaintance. 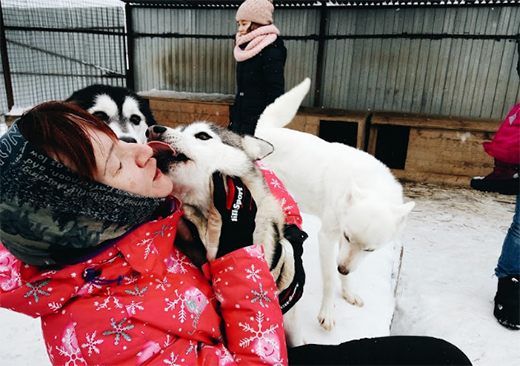 One of the Moscow parks offers you the opportunity to learn about these dogs, play with the them and have have a short ride being a passenger in a sled. This is the cheapest option and might be a good alternative for the family with small kids or for a couple. 3. Adventure. 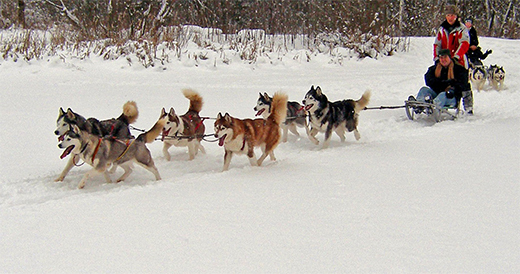 If you are dreaming of a real dog-sledding adventure, then we are happy to offer you 3-4 hour ride through the picturesque winter woods. 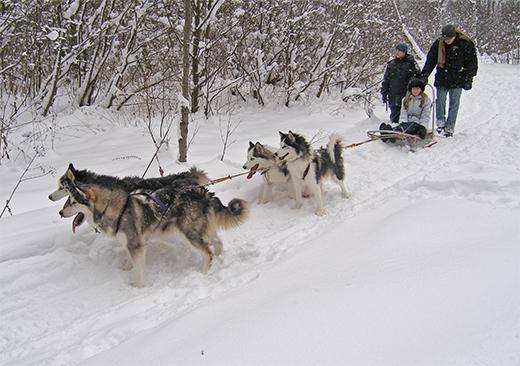 During this trip, you will be able to be a both the passenger and the musher/driver. You will have more time to learn the skills of a professional musher who participates in the International competitions. This farm offers you the ride with Alaska husky breed. This option is the furthest and the most expensive. It takes about 2 hours to get to the place. Tour duration: 8-9 hours. You can also add reindeer farm visit to this trip. It is very important for us to take you to the places where dogs are treated very well. 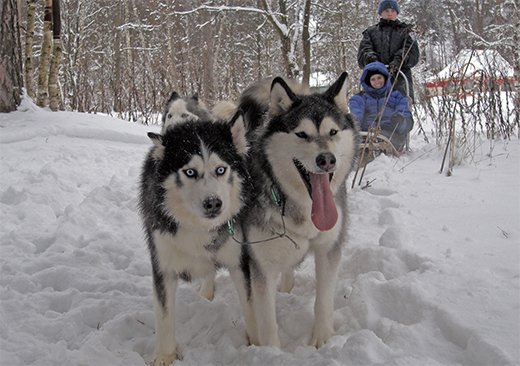 The owners of the farms breed husky dogs and participate in dog-sledding competitions. It is important for them to have the dogs in good health and shape, they do not use them just for tourist purposes which occur in a lot of places where dogs looked tired.